What would you like to automate today? Set up a meeting with a subscriber on Google Calendar? Send a ‘Thank You’ card’? Follow up on an NPS survey? Send an SMS to a new subscriber? Now you can connect Chargebee to virtually any app you’re already using. 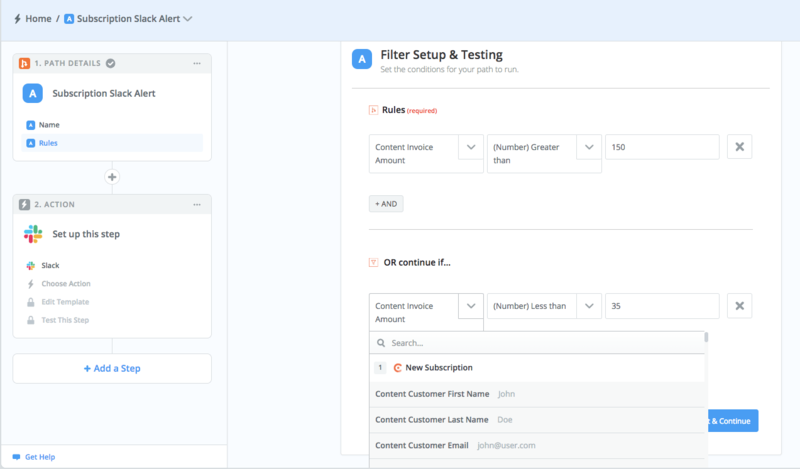 So now you can do things like turn new subscription in Chargebee into a lead in SugarCRM or turn a Typeform sign up into a subscriber in Chargebee. With 1000+ apps on Zapier, the combinations are endless. Visit Zapier to learn more about setting up this integration. Create Zaps that automate your workflow by integrating Chargebee with other apps that your business uses. Zapier provides a simple drag-and-drop interface that integrates with 1000 + web services. Choose from an exhaustive list of cloud based apps, and build the automation workflow that works for you. Do I need a paid account in Zapier to create Chargebee related zaps? How frequently does Zapier sync with Chargebee? No. 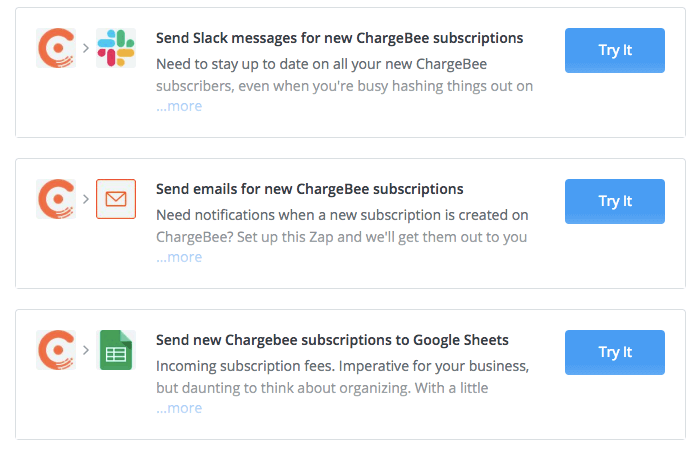 Chargebee is available to users under the 'Free' plan in Zapier as well. Chargebee syncs in real time with Zapier. Though the Zaps are triggered based on the price plan you are subscribed to in Zapier.